We are thrilled to announce that Midnight Syndicate Live! 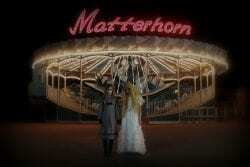 will be returning to Cedar Point’s HalloWeekends this fall! We’ve got a new show in a new theater that we can’t wait to share with you. Stay tuned for show updates, production photos, as well as a few more surprises we have in the works for you this year! 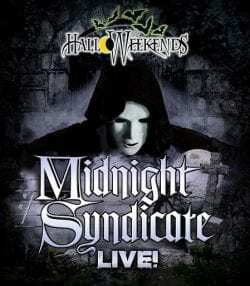 CLEVELAND, Ohio, March 15, 2017 – Halloween and horror music legends Midnight Syndicate will bring their critically-acclaimed concert experience, Midnight Syndicate Live!, back to the world famous amusement park, Cedar Point this fall. The horror-themed multimedia concerts blending live music, theatre, and film will run Friday nights, Saturdays, and Sundays from September 15 through October 29 in the Jack Aldrich Theater at Cedar Point’s 21st annual HalloWeekends event. For the new show, Midnight Syndicate will once again be calling upon special effects legend Robert Kurtzman (From Dusk Till Dawn, KNB EFX) and his Creature Corps, David “House” Greathouse (Faceoff, Mushroomhead), Beki Ingram (Faceoff), director Gary Jones (Army of Darkness, Axe Giant), 529 Films, EFX-TEK, artist Mark Rakocy, and Screamline Studios.